Ashcroft v. Iqbal was a landmark case where the United States Supreme Court held that top government officials were not liable for actions of their subordinates absent evidence if they ordered alleged discriminatory activity. Javad Iqbal, who worked as a cable television installer, was arrested in New York in November of 2001 for charges of conspiracy to defraud the United States and fraud in regards to identification documents. In response to the arrest, Iqbal, claimed that FBI officials carried out a discrimination policy by classifying him as a person of “high interest” in alignment with the September 11th attacks. Iqbal believed he was targeted because of his religion, race and national origin. While awaiting his trial for conspiracy and fraud charges, Iqbal was placed in an Administrative Maximum Special Housing Unit for over six months. Iqbal claimed that while in this unit, he was beaten and denied medical attention for the injuries suffered. Iqbal ultimately plead guilty to using another individual’s Social Security card and served a prison term of 8 months. After being released, Iqbal filed a claim that the authorities violated his First, Fourth, Fifth, Sixth and Eighth Amendment rights as well as a number of statutory claims that sought reimbursement of compensatory and punitive damages. The District Court system found that the facts within Iqbal’s complaint were sufficient; this ruling was affirmed by the United States Court of Appeals for the Second Circuit. The Supreme Court then granted a review of the case, in part, to address “whether allegations that high-level government officials had knowledge of the alleged wrongdoing by subordinate officials and whether this knowledge was sufficient to survive a motion to dismiss in an action brought under previously-rendered decisions. In a 5 to 4 decision, Justice Kennedy of the Supreme Court ruled that Iqbal’s complaint failed to plead sufficient facts to offer a claim for purposeful and unlawful discrimination. 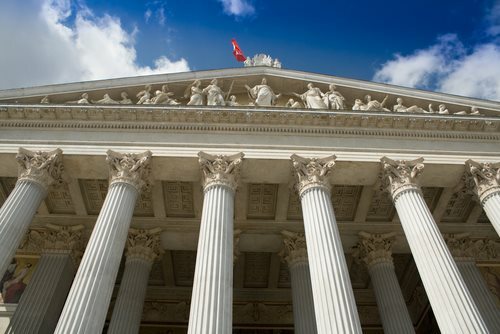 The Supreme Court of the United States found that according to precedent, Government officials could not be held liable for the unconstitutional conduct of their subordinates. United States Reports Case Number: 556 U.S. Verdict Delivered: The Supreme Court of the United States ruled that top government officials are not liable for the actions of their subordinates absent evidence if they are alleged of committing discriminatory activity.